Participating in a sports events like a marathon is a great feat. Not everyone is brave enough or fit enough to join such events. 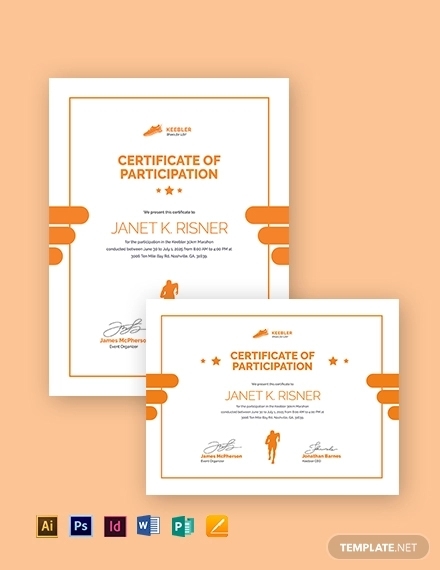 If you need to provide certificates for a marathon event, your choice include creating your own pattern, hiring an artist or using a ready to use template. 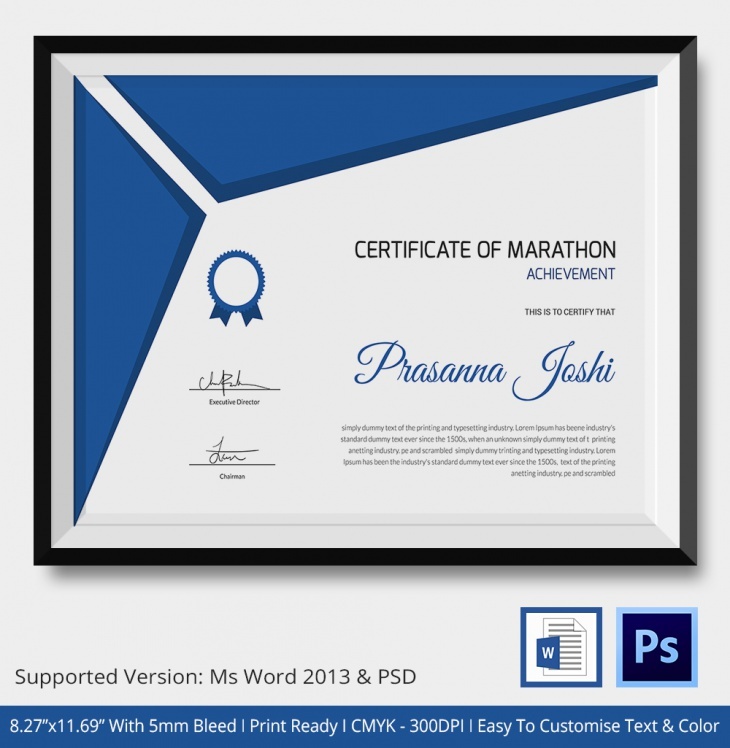 This easy to edit template is created to provide a piece of appreciation document for those who joined a marathon. The blue corner design is matched by the blue text used for the name, and the rest of the details are done in black. 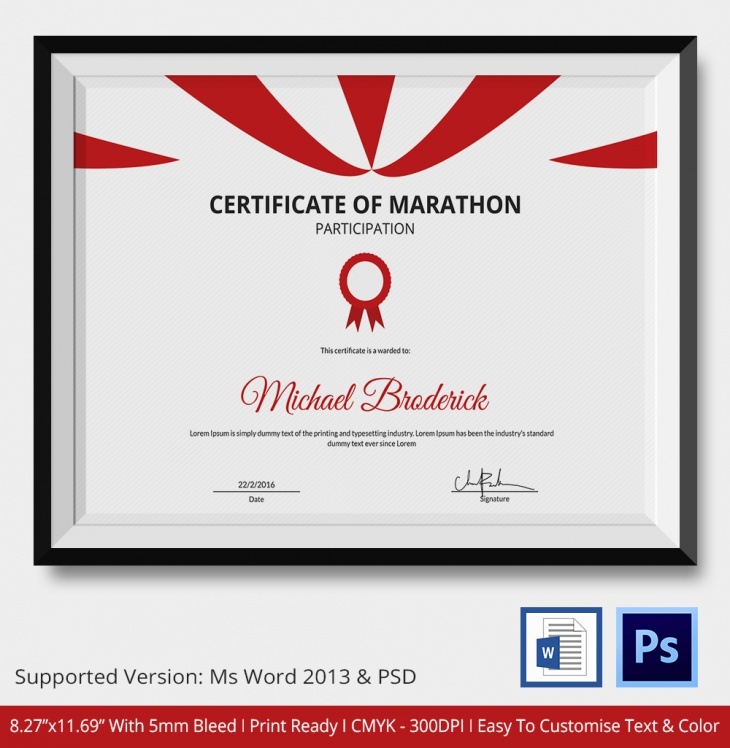 The design for this marathon certificate template is simple. The background in white is accented by blue lines – one slanting line on the bottom left corner and two crossing lines on the far right side. The texts are done in blue (for the name) and black. The strong combination of red and black is used to its advantage for this certicate template. 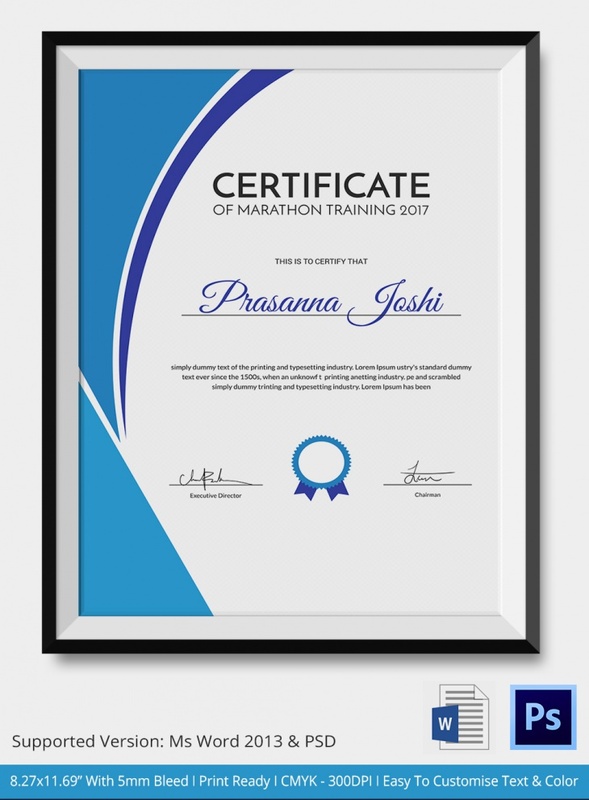 It is a good way of presenting a highly coveted certificate for those who have prepared themselves for the rigorous marathon event. 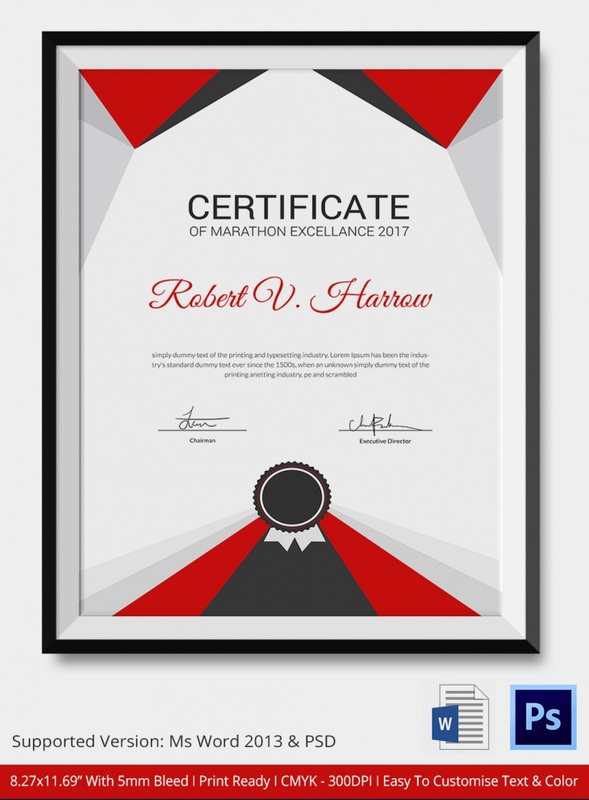 The red accents used for the top part of this template shows that presenting a certificate for a marathon event is a special celebration. Red is also used for text for the participants’ name. Two shades of blue are used for the accent on this template. The left side has two string strokes of light blue with a single thin stroke of a darker shade. The lighter blue shade is also used for the name text. 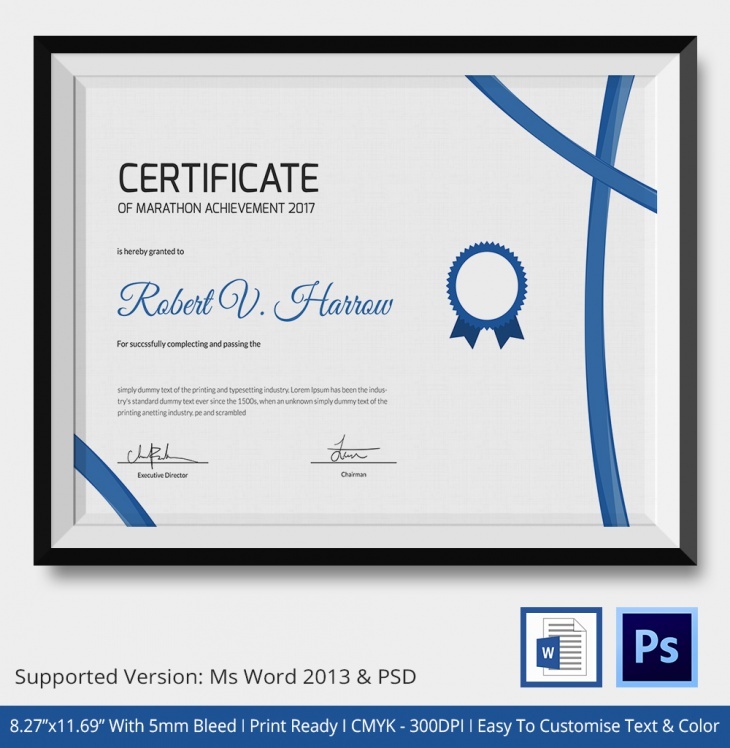 By using a ready to use and easy to edit template, it would be easy for you to come up with a highly presentable certificates for those who participated in your marathon event. Templates such as these, allow you to be creative and have more time to spend for other important matters.